ACT-HR High-Resolution Electronic Autocollimators | PLX Inc.
High-resolution measurement capability down to 0.01 arc second or 0.05 μRad. Real time measurement of angular displacement. Built-in pan and tilt adjustments. Low Light - low reflection capability. Reticle targets (single or multiple). Data logging with detailed statistics. Software controlled electronic shutter & gain. Data exporting to another computer via RS232 or TCP/IP. Video with playback, snapshot files. The complete ACT-HR High-Resolution Electronic Autocollimator system includes a collimator unit with a USB2.0 CCD camera and a full function software suite. 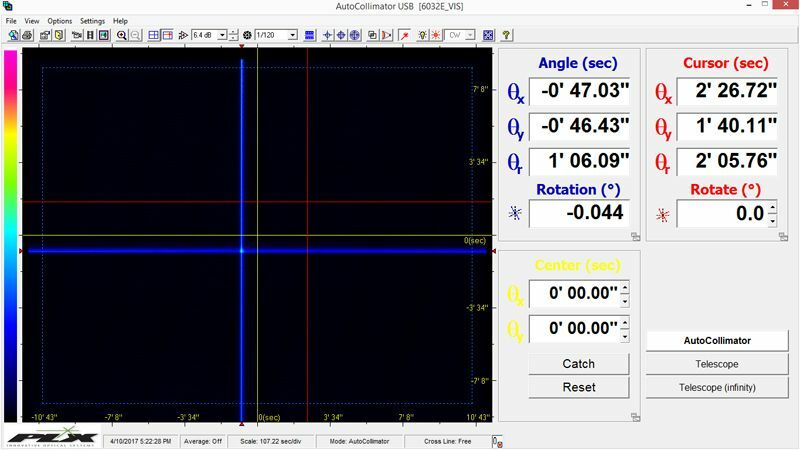 Designed for use in tool rooms, inspection departments and quality control laboratories, this sensitive High-Resolution ACT-HR Electronic Autocollimator will measure extremely small angular displacements, squareness, twist and parallelism. 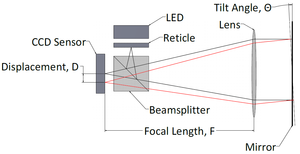 The ACT-HR performs high-precision reflection measurement from mirror surfaces down to 0.01 arc second. –Vibrations analysis and much more.